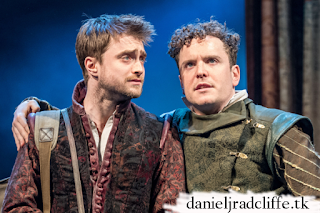 More Rosencrantz and Guildenstern are Dead production photos have been released. You could already view photos by The Guardian yesterday featuring Daniel alongside David Haig and Joshua McGuire. Update: 8th March 2017. Photos by Alastair Muir and Tristram Kenton are added. Update: 10th March 2017. More photos by Alastair Muir.